Oct. 2013 It’s now officially fall, but as I’m typing this it’s hot outside. I guess the summer weather isn’t quite ready to go away, which is fine because I’d like it to stick around….maybe until May. But I know that’s not going to happen so we need to start preparing for fall cleanup. The Trillium awards were presented at the August general meeting. What a great night that turned out to be. We had a record number of people come to the meeting. There were 74 members and guests in attendance. I would like to extend a huge thank you to Councillor Lorne Boyko for presenting the awards to our winners. This is a very important event for the DHS and it’s so nice to have him take part. Pazzo’s Pizza kindly donated the pizza and as usual Maura Cooper and her helpers worked their charm in the kitchen. The cake was deliciously awesome! It was beautiful, with trilliums made out of icing in the corners which, by the way, were very tasty. Trillium award winners were given a bouquet of roses from Lindy’s Flowers when they were presented their award. Photos of the winning properties were framed and are now displayed at the Optimist Hall and will remain there until next year’s award ceremony. For photos of the cake and the meeting visit our website. A bus trip to the Royal Winter Fair in Toronto has been arranged. The date is Tuesday November 5th. Tickets are $45 for members and $55 for non-members. There will be fun and prizes on the bus both ways, with the bus leaving the condo parking lot at 8:30 a.m. and returning to Dunnville at approximately 6:30 p.m. Events at the Royal on November 5th include a Royal Horse Show free performance, President’s Choice Animal Theatre, Market Lamb Show, Royal Poultry, Waterfowl and Pigeon Show, plus agricultural competitions. There’s something for everyone, and the shopping there is unbelievable. You can find more information about the Royal Winter Fair and the daily schedules by going to their website: www.royalfair.org. The fair runs from November 1 to the 10th at Exhibition Place. The website has a full list of events if you can’t go with us and would like to go on your own. Please see Vice President Debbie Thomas for tickets. The DHS’s Annual Flowerbed Cleanup takes place on Saturday, October 19th. We need as many people as possible to help clean out the annuals from all the town beds. We meet at 9 a.m. at the parking lot by the bridge. Volunteers are needed and greatly appreciated. Removing the annuals and cleaning up the beds is just as important as the spring planting and we can’t do it without your help. There is going to be a Kornhusk Doll workshop given by Krista Barlow. Her demonstration at the August meeting was fascinating. The workshop will be held at the home of member Brenda Pittaway on November 2nd from 1:00 p.m. to 4:00 p.m. This is a rare opportunity to learn this art form so please contact your VP Debbie Thomas if you would like to attend. I hope you’re planning to enter some photographs in our annual photography contest at the November general meeting. Categories are Spring, Winter, Summer and Fall. Members can enter one photograph in each category and the subject must be horticulture. Kids and animals can be in the photos but mustn’t be the focal point. Each photo must be 4 x 6 inches. See webmaster and director Ian Steel if you have any questions about entering your pictures. Don’t be shy…you don’t have to be an expert and the prizes make it worthwhile. 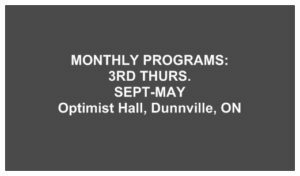 This meeting is also our AGM (annual general meeting) where we read the minutes from November 2012’s AGM and the treasurer’s report for the fiscal year. Elections and installations will also be taking place. If you are interested in becoming a member of the board of directors please contact any one of the DHS directors or executive by this month’s general meeting. We can always use fresh minds and faces to help out with the month to month planning and organizing of the DHS. The November meeting is also our Christmas potluck and this year we’ll be having a penny sale with lots of great items up for grabs. Don’t miss it! We also need volunteers from our membership to help out with kitchen duties each month. We need at least 3 volunteers to make some goodies and help with the tea and coffee. Our directors and executive are so busy doing other things to organize and run the meeting that we need to turn to you for help. Please see Maura Cooper to sign up. There are 8 meetings a year that need to be tended to and I know everyone looks forward to the goodies that are offered up each month. Hamilton will be having its annual Mum show held October 25th thru November 3rd, 2013 at the Gage Park Greenhouse & Tropical House. The event has grown and boasts having over 75,000 blooms on display. There is a plant sale on the last Saturday. 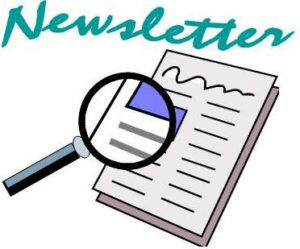 Please see “Upcoming Events” on our website, or call 905-546-CITY (2489) or visit their website at www.hamiltonmumshow.com. I know I’m going this year! Garden tip of the month: Out with the old–in with the new. Bedding plants need to be removed as soon as they finish flowering and this is the perfect time to plant tulip bulbs. Rake and clean up as much as possible and cut back your irises if you haven’t already. The less you leave behind in the fall the healthier your garden will be in the spring. There were 54 people signed in, with 4 being guests. A motion was made by Linda Muldoon to accept the minutes from September. Ian Steel seconded. Motion was passed. The treasurer’s report was read. The membership was informed that former DHS president (1992, 1993) and secretary (1985, 1986) Jean Dickhout passed away on October 11th. Our condolences to her family. The bus trip to the Royal Winter Fair was discussed. Tickets are $45 for members and $55 for non-members and the deadline for purchasing them is October 28th. Grant applications for 2014 were discussed. We have applied for: 1: the regular working grant from Haldimand County-asking for maximum $4000.00 and 2: the beautification grant from Haldimand County. We requested the need for $1500.00 and will get 50% ($750) if approved. This money will be used to purchase planters for Lock Street. The BIA is applying for a grant to buy matching planters for Chestnut Street. The size and style will be co-ordinated with the BIA and they will hopefully be installed in May 2014. The November general meeting is our Annual General Meeting. We will read the minutes from last November and go over the Treasurer’s report for the year. We will also have nominations/elections/installations of executive and directors for 2014. This meeting is also our Christmas celebration and pot luck dinner which will also include a penny sale. Volunteers will be needed to help out with the snacks at the general meetings for 2014. Please see Maura Cooper to sign up. Volunteers are also needed for the plant cleanup scheduled for October 19th which is in 2 days. There was a show of hands from the membership as to who was going to help out. In keeping with the DHS’s plans to plant perennials in the town flowerbeds 4 holly bushes (2 females, 2 males) have been purchased. Heron statues have been purchased that are going to adorn the fountain. Muddy the Mudcat will be a project for 2014. The Rotary Club is responsible for the area immediately underneath him and we are going to partner with them to plant grasses around him. We will also look into sprucing up the Centennial Fountain next to Muddy. There was a 10 minute refreshment break. Thank you to Maura Cooper, Marissa Iozzo, Mary Galli, and Betty Ballanger for the goodies and for taking care of the kitchen duties. The Kornhusk doll workshop for November 2 still has some opening available. The workshop will be held at the home of member Brenda Pittaway. Debbie introduced our guest speaker, Master Gardener Vivian Shoalts who spoke to the group about planting in November and gifts for gardeners. The Ways & Means tickets were called out. The table looked great and thank you everyone who donated items. We earned $56.00. Thank you to all the volunteers who helped this evening, and thank you to Ethan and Aidan from Dunnville Secondary School for helping with set up, kitchen duties, Ways & Means, and clean up.